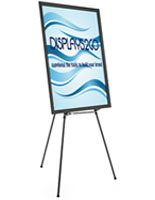 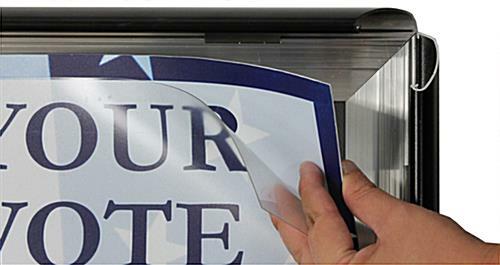 This black aluminum display w/ easel frame displays large posters so they are noticeable in a crowd. 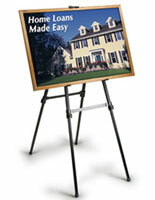 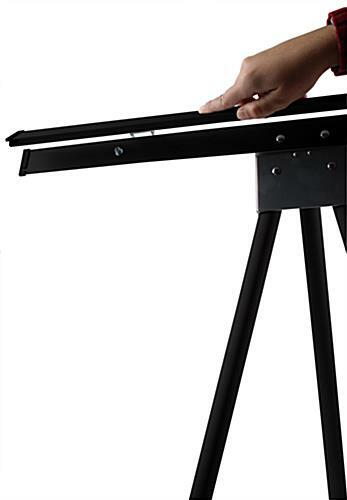 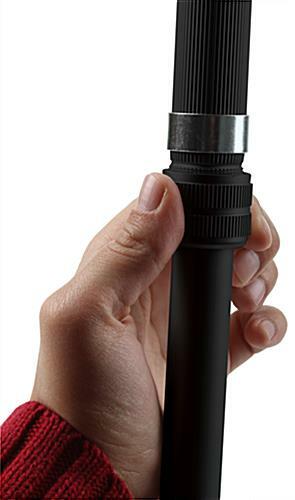 The 24" x 36" tripod-style snapframe allows for easy graphic updates. 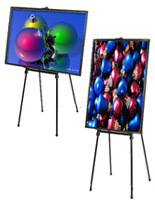 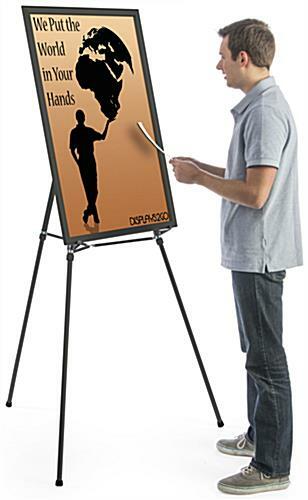 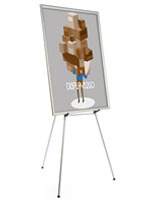 This versatile poaster board frame features adjustable, telescoping legs This floor standing aluminum display w/ easel frame has a detachable brace for the presentation of charts or other artwork. 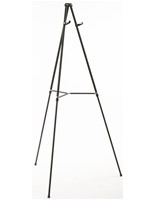 The sign holder has extendable legs, and can be stored and transported easily. 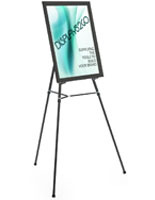 This display w/ easel frame is a superb promotional tool in every way!